Cross-laminated timber may finally be having its heyday in the United States. 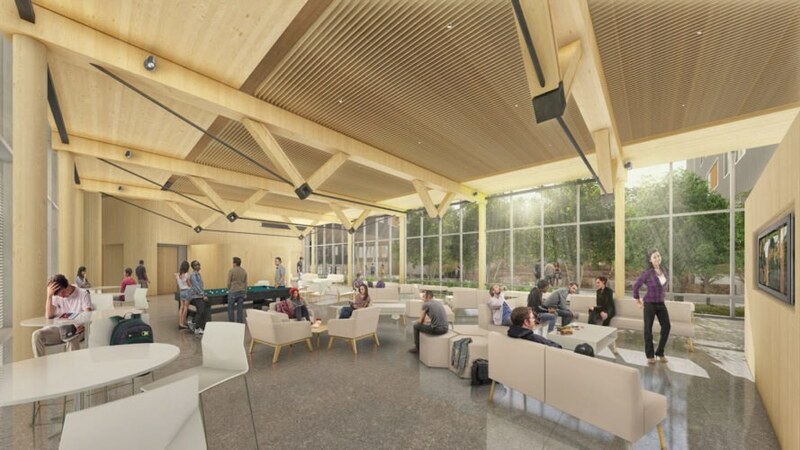 The nation’s first large-scale mass timber residence hall recently broke ground at the University of Arkansas. 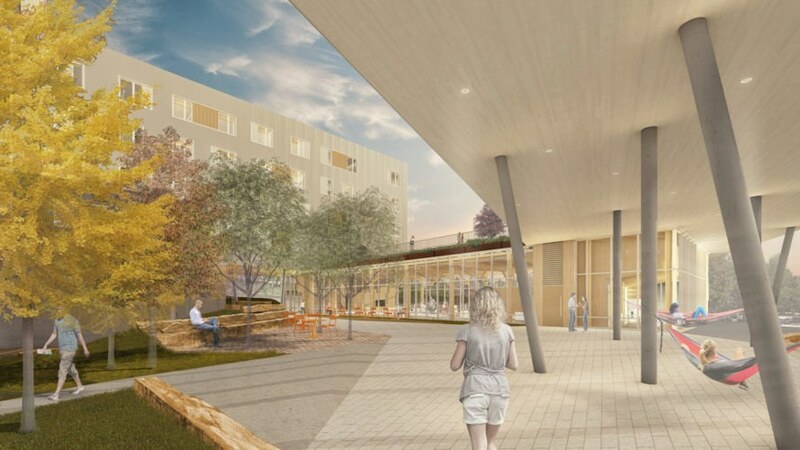 The Stadium Drive Residence Halls project and living learning setting is the work of a design collaborative led by Leers Weinzapfel Associates, the Boston-based architecture practice behind the nation’s largest cross-laminated timber academic building at the University of Massachusetts. 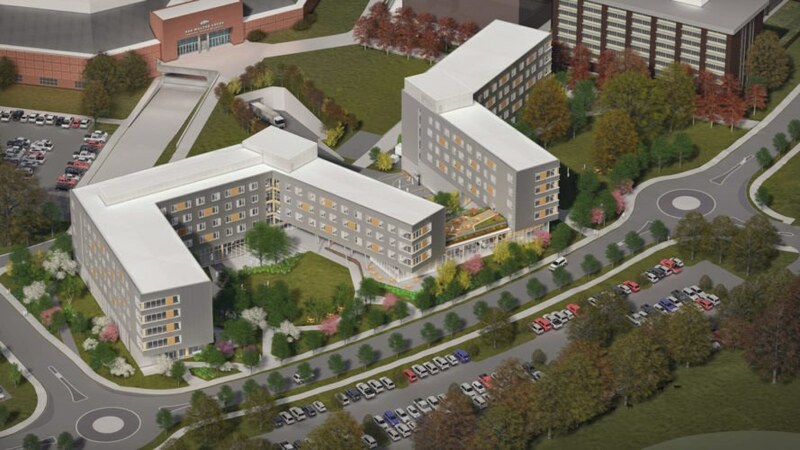 Targeting LEED certification, the Stadium Drive Residence Halls is a new campus gateway project designed by Leers Weinzapfel, Modus Studio, Mackey Mitchell Architects, and OLIN. The 202,027-square-foot cluster of interconnected buildings will offer a range of student housing primarily for sophomores and serve as a vibrant mixed-use destination on the campus’ southern end with retail, dining, classrooms, maker-spaces, performance spaces, gathering areas, offices, and faculty housing. 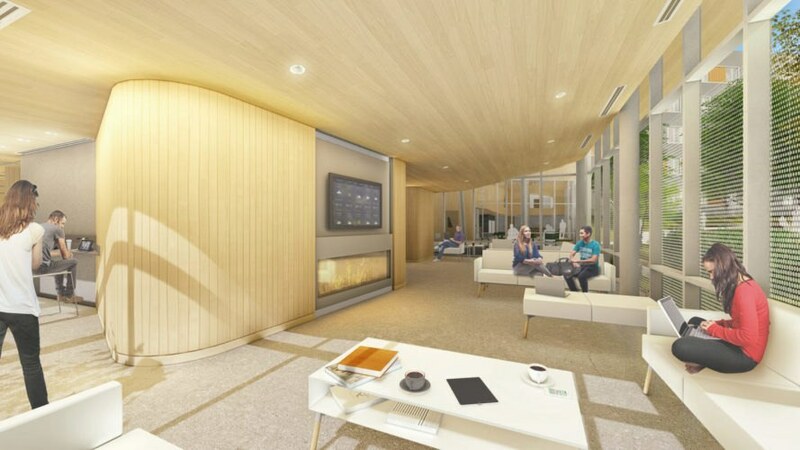 Beautiful timber surfaces will be celebrated and left exposed in the interior from the structural wood ceilings to the timber columns. Zinc-toned siding with accent panels of textured copper-toned and white siding complement the exterior timber facade. OLIN’s landscape design will enhance the collegiate experience and show off Northwest Arkansas’ native ecology. 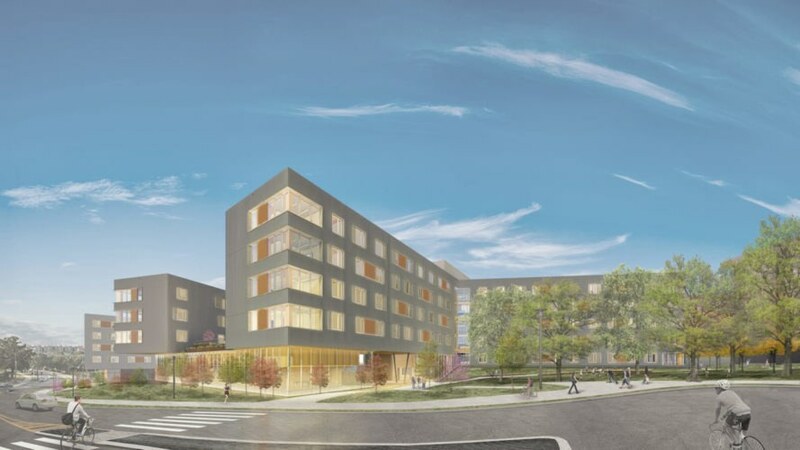 Targeting LEED certification, the Stadium Drive Residence Halls is a new campus gateway project designed by Leers Weinzapfel, Modus Studio, Mackey Mitchell Architects, and OLIN. 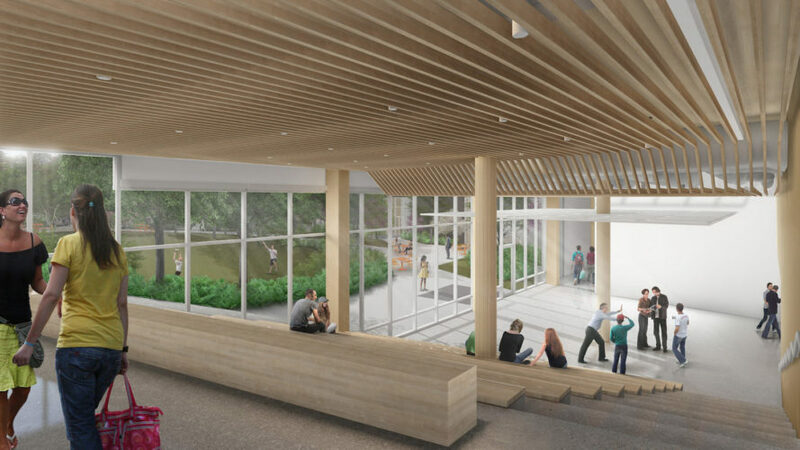 Beautiful timber surfaces will be celebrated and left exposed in the interior from the structural wood ceilings to the timber columns. Zinc-toned siding with accent panels of textured copper-toned and white siding complement the exterior timber facade. OLIN’s landscape design will enhance the collegiate experience and show off Northwest Arkansas’ native ecology.